Looking for something different to raise a smile? 1 member of fully trained staff wearing old fashioned apron and boater. £400.00 fully inclusive, no extra hidden costs. £50.00 non refundable deposit secures the date and remainder is to be paid 14 days prior to event. The traditional table price will be paid or a 20% of profits for the duration of the event. The trike is staffed by our fully trained staff. 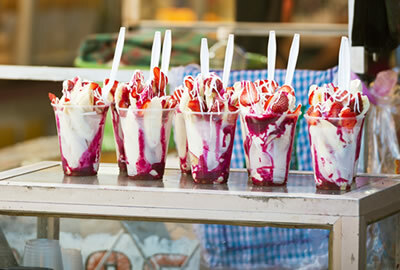 Retro Lilly serves Henley Premium Dairy Ice Cream along with Tea and Coffee, cold drinks, Crisps and chocolates. This comes staffed by our fully trained staff. Retro Lilly can either be plugged directly into electrics or a generator. 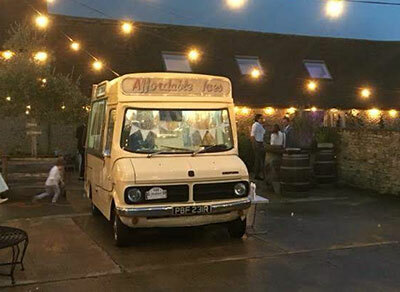 The Retro Lilly is available for all types of events and 20% of the profit from our sales will be given to event organisers. The Croft, just 200 Metres from the Parlour near to the pedestrian crossing. The Medical Centre, on Prince Harry Road, with a shortcut through to the high street. Bookings in advance taken for parties, please allow 7 days to avoid disappointment. Special Rate Menu for all coach parties, with the coach drivers meal being complimentary. 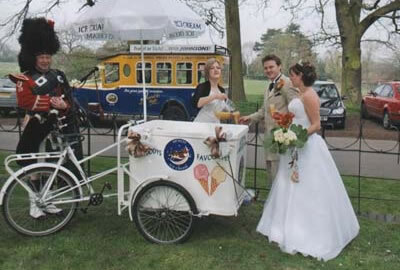 Henley Ice Cream also offers a service to trade customers with weekly deliveries made within a 30 mile radius. Henley Ice Cream © 2018. All Rights Reserved.